Remifentanil is a synthetic opioid derivative that was introduced into clinical practice in the United States in 1996. The unique modification of its chemical structure to include a methyl-ester ring allows its hydrolysis by non-specific plasma and tissue esterases. This molecular configuration results in its rapid metabolism thereby providing a rapid onset, easy titration by continuous infusion, and a short context-sensitive half-life with rapid elimination. These principles are stable and consistent across all age groups regardless of the infusion characteristics. Owing to these pharmacokinetic characteristics, it is an effective agent in the neonatal population allowing the provision of intense analgesia and anesthesia with a rapid recovery profile in various clinical scenarios. 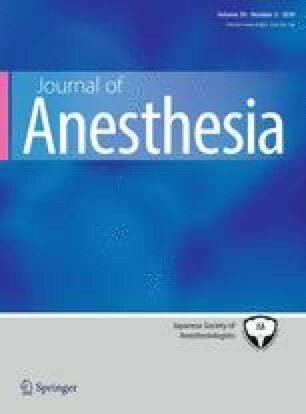 Here, we review the pharmacokinetics of remifentanil in neonates, discuss its clinical applications including intraoperative administration for anesthetic care, unique applications for procedural sedation including endotracheal intubation, and its potential use for sedation in the Intensive Care Unit setting during mechanical ventilation. This review was not sponsored, and there are no conflicts of interests known at the time of submission.